There is a lot to think about when you are considering setting up wasp traps. Because wasps and bees are closely related they are attracted by similar baits and repelled by similar substances. This makes choosing a suitable bait quite tricky. Traditionally, we have understood that wasps are attracted to protein baits and bees aren’t. This sounds great and like an easy solution. Unfortunately, this pleasing fact does not always hold true. In spring and autumn, wasps are needing carbohydrate energy to build up their nests and stock up for winter, so they are on the look out for sweet temptation the same as our bees are. 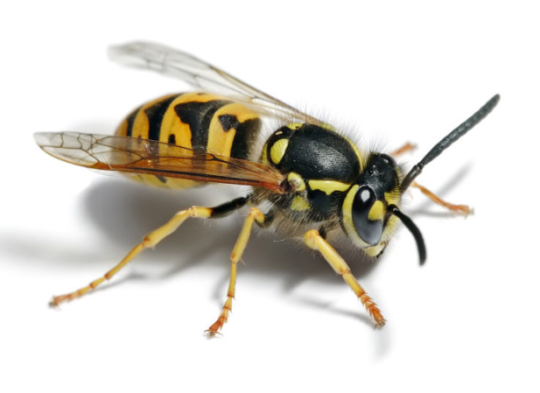 Bearing this in mind, we are also aware that wasps pose their biggest threat at these two times of the year so this is when we need to deal with them. Objective – to limit the number of queens and therefore the number of future nests and thus reduce the likelihood of autumn attacks. Spring wasp trapping needs to be carefully targetted to reduce the risk of trapping other species (i.e. your bees). Locate old wasp nests and place your traps nearby. Objective – to reduce predation in the apiary. The pressure on the apiaries is intense at this time because wasps are looking for a diet high in sugar. Set plenty of traps around colonies that are likely to be attacked and/or depopulated. During Summer, protein is a good bait to use in your wasp traps as it will not attract bees as a sugar based bait would. Use small amounts of meat scrap, sardine, cat food or similar. It is important to keep an eye on the ratio of bees to wasps that are being attracted to your trap and adjust positioning and bait accordingly. You can purchase very economical traps from your local hardware store. Alternatively, make your own using a plastic softdrink bottle with the top third cut off and placed upside down over the base. Place bait in bottom of bottle. Another way to stop wasps attacking your bees is to use a robbing screen in the front of the hive. Make this easily using a square wooden frame with mesh over to prevent them flying straight in. This also works for strange bees robbing your hive. Your own bees will know to fly up and over but others won’t.